The mandate to procreate is so strong and the natural world revolves around it. And the babies are sooooo cute, like these that are being raised in the pond next to Cracker Barrel. Word for tomorrow – LYING. If you prefer to work ahead, see the list for the week under “A Word A Day”. 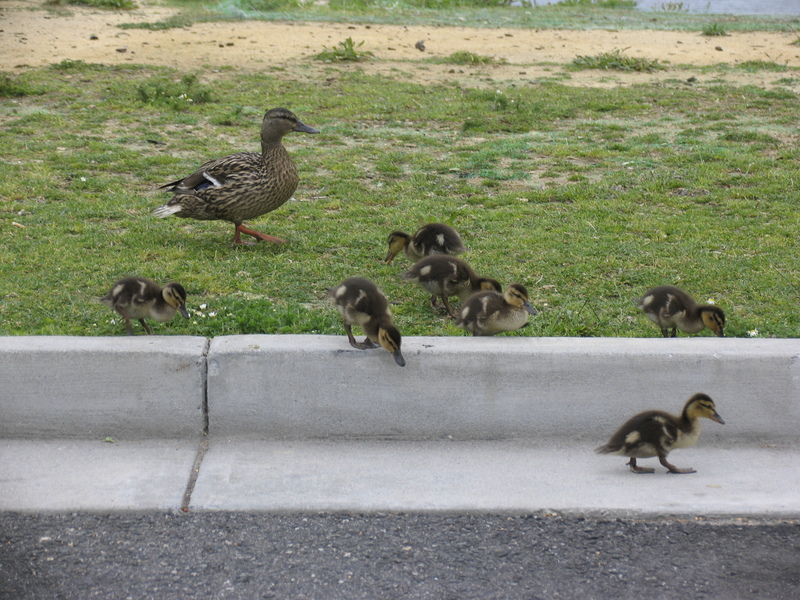 Last year I saw a little family of ducks walking around my largely absent neighbor’s house. I hope the mother returns and does it again. They are so cute, aren’t they? Little balls of fuzz just waddling all over.